The rambling dining rooms at the ‘house of teaspoons’ have been packing ’em in since 1786. 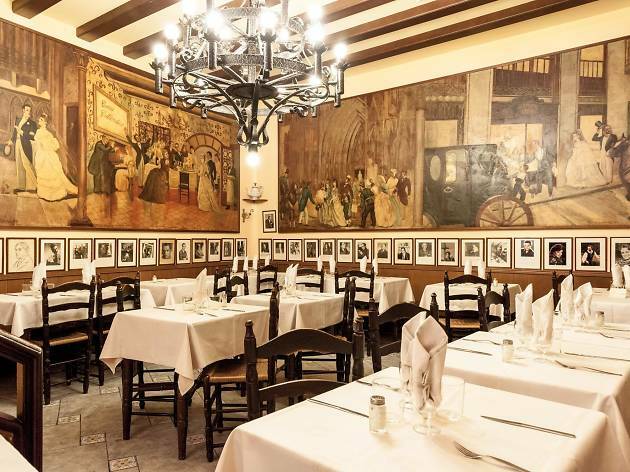 The secret to this restaurant’s longevity is a straightforward one: honest, hearty cooking and decent wine served at the lowest possible prices. 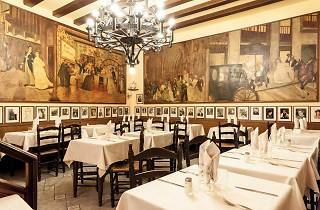 Under huge oil paintings and a thousand signed black-and-white photos, diners munch wild boar stew, roasted duck with prunes, veal knuckle with milk cap mushrooms, cava-stewed pig’s trotters and superbly fresh seafood.